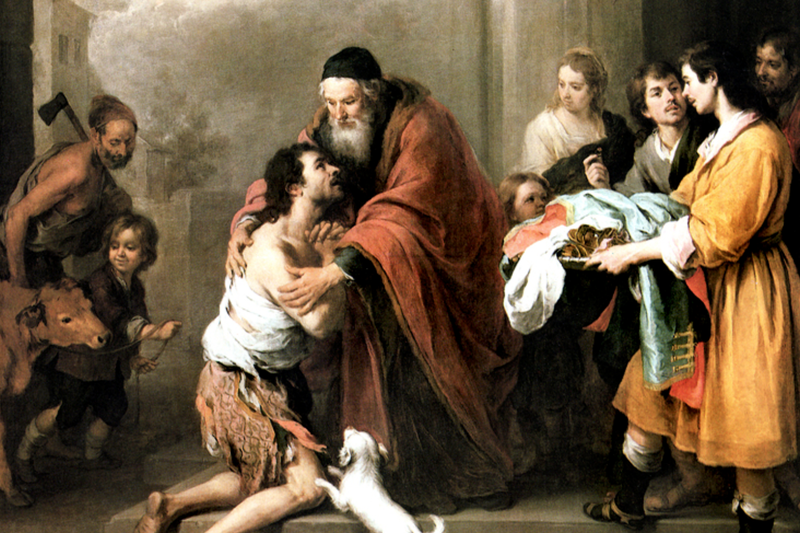 This week’s gospel reading is the well-known parable of the Prodigal Son. As Jesus told the story, a young man demanded his inheritance from his father, took the money and traveled to his country’s version of Las Vegas. There he squandered the funds in record time on non-stop partying. In fact, the word “prodigal” is defined as meaning extravagant, excessive, profuse, and lavish. These terms describe exactly the way the son burned through his dad’s money. I once read a commentary that suggested this parable should be called the “Prodigal Father.” After all, the father’s reaction to his wayward son was equally as extravagant, excessive, profuse, and lavish. He didn’t hesitate to shower his son with abundant forgiveness, mercy, and love. The standard interpretation of this parable is that we are all prodigal sons and daughters, sinful and disobedient to our Father in Heaven. But no matter what we’ve done, no matter how sinful we’ve been, if we repent and return to the Father, He will forgive us and shower us with mercy and love. However, let’s not forget the well-behaved older son. This son did not disobey his father. He did not go off to Las Vegas and squander a huge pile of dad’s money on non-stop partying. When this son found out his younger brother had returned, and that his father was throwing a big party, he became angry and refused to join in. The father came out and pleaded with him. But the older son refused, consumed by bitterness. 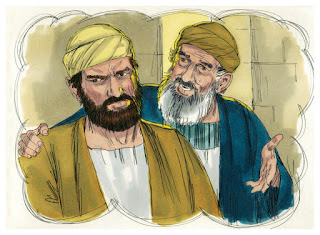 Just like the Pharisees, the older son was obedient, faithful, hard-working—and judgmental. He looked down his nose at anyone who did not measure up, especially his younger brother. 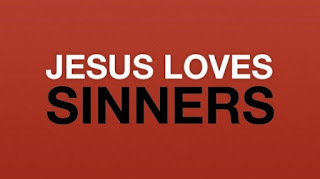 Just like the Pharisees, the older son thought it was proper to hate the sin and HATE the sinner. If this parable was set in the 21st century, the older son and the Pharisees would be people who go to church every Sunday; who put generous donations in the basket each week; who don’t go to Las Vegas and squander money on non-stop partying. 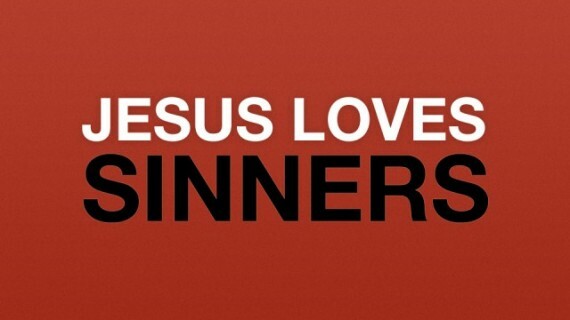 And who hate the sin and HATE the sinner. The key lesson in this week’s gospel reading is that God Almighty—represented by the loving father—hates sin, yes, but LOVES the sinner. Whenever a sinner repents and seeks forgiveness, God rejoices. We must do the same. We must pray for wayward people, and rejoice when they see the light and turn to the Lord. Otherwise, we’re no better than the older son, no better than the Pharisees. Readers Reply – and They’re Angry!